A Food Truck in Austin, TX needed a brand that would set them apart from the rest. That’s when they came to me. I was tasked with a massive task: Come up with the logo and the entire branding for the restruanrt. 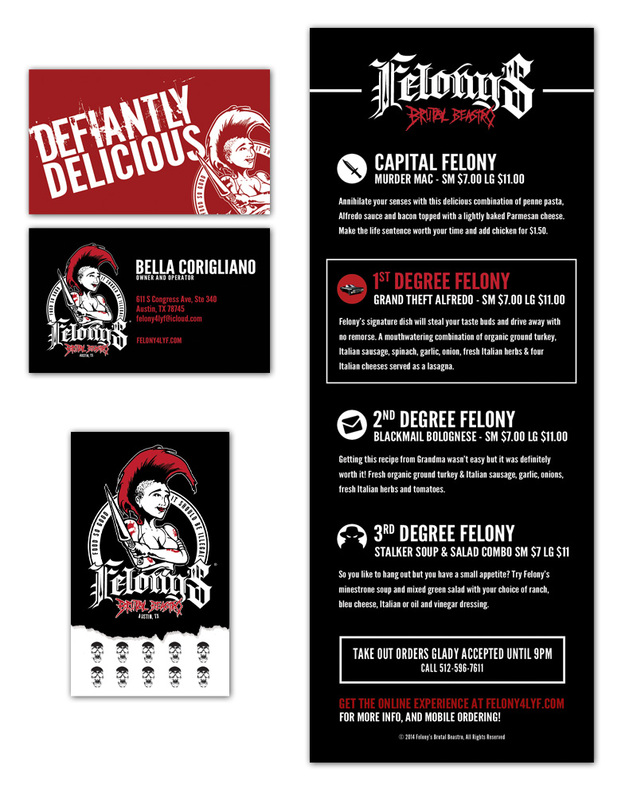 With a focus on the three most powerful colors on the planet, and a tough crime and punk theme, I worked with the owner of Felony’s to create a campaign that showed that her food was so good, it should be illegal!